A three-seasons room is a terrific way to make your dream home your own with ICG Homes. Visit www.ICGHomes.com to learn more! These light and airy spaces become a gathering space that truly enhances your home. 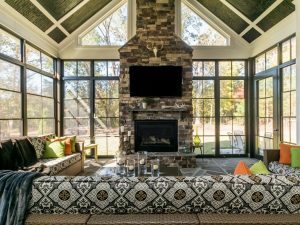 Contact ICG Homes at (919) 876-5802 to learn more about including a three-seasons room in your custom home design. What a fantastic way to make it your own with ICG Homes!